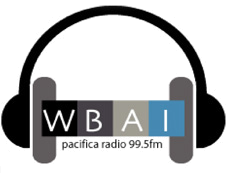 The Wind in the Pines (2018) a commission from Chamber Music America for soprano, theorbo, oud, harp, alto flute, alto recorder and percussion will be premiered by the Eurasia Consort in NYC. Zhaojün - The Woman Who Saved the World�(2018), a chamber opera for soprano, baritone and 7 instruments, was performed in concert by the Association for the Promotion of New Music on Nov.20, 2018 at the Baruch Performing Arts Center to the enthusiastic acclaim of the audience, and will now be reaching out for its stage premiere. Textura.org review of Alice Shields' White Heron Dance (2017): " totally captivating... daringly programmatic... a standout." Textura calls the whole album "a magnificent survey of the electroacoustic field." 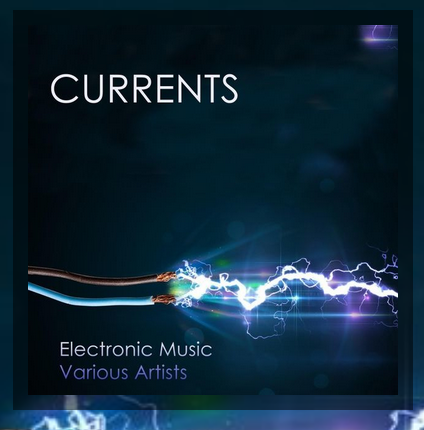 On December 22, 2018 ACA released CURRENTS - Electronic Music, a collection of 14 pieces of electroacoustic music by contemporary American composers, featuring Alice Shields' White Heron Dance. Other composers include Beerman,�Gibson,�Greenbaum,�Gressel, Howe,�Kreiger, Miller,�Semegen and Sollberger,�Mark Thome,�Thompson�and�Trombly. Shields' new one-act chamber opera ZHAOJÜN – The Woman Who Saved the World will be premiered in concert on November 20, 2018 by the Association for the Promotion of New Music, NYC, conducted by Carl Bettendorf. Shields' music and libretto is based on the life of Wang Zhaojun, a Chinese woman who established peace between China and Mongolia in 33 B.C. 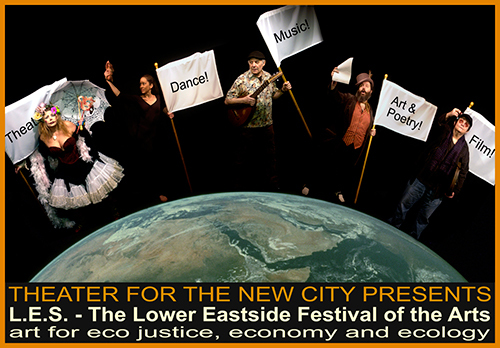 The opera tells of her solution for our current environmental destruction and violence: in a remote mountain setting in north China, she arranges a secret meeting with her former slave master, the Emperor, who had sold her as a peace offering to the Mongols. 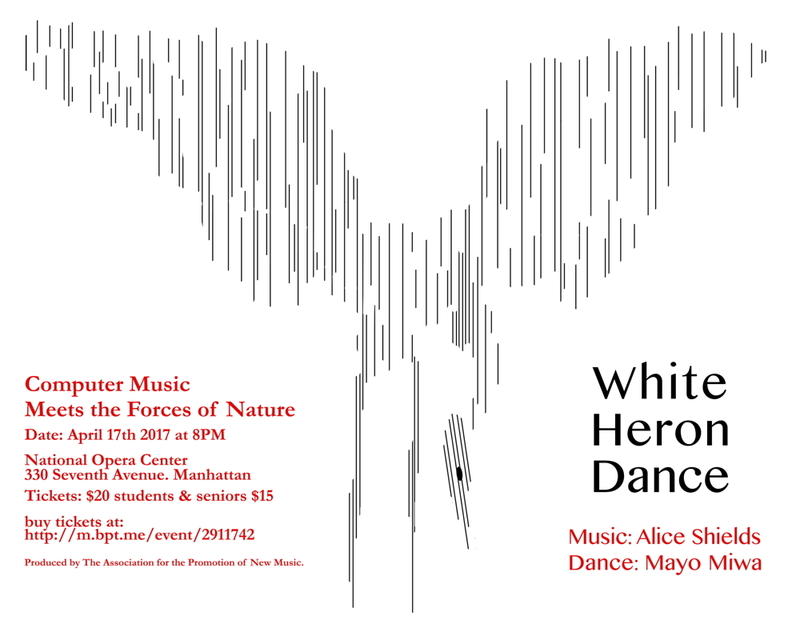 The composer writes, "White Heron Dance is a shamanic ritual in sound in which a human being experiences a moment of union with nature in the form of a Great White Heron. I created it from the cries of herons, hawks, eagles, songbirds and the human voice. I study Noh Theater with the Noh performer Mayo Miwa, who suggested the ancient Japanese Shinto ritual Sa-gi Mai upon which the piece is based. I recorded her singing the ritual song in the folk style used by the Shinto priests and in the elaborate Noh recitational style." 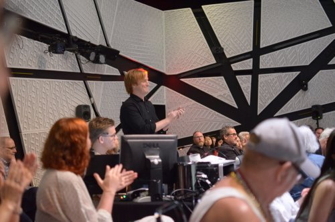 The Mud Oratorio was�originally commissioned by Dance Alloy of Pittsburgh�and Frostburg State University in Maryland.�Shields created the work around two Nature Conservancy swamps in Frostburg Maryland whose flora and fauna survived the ice age. 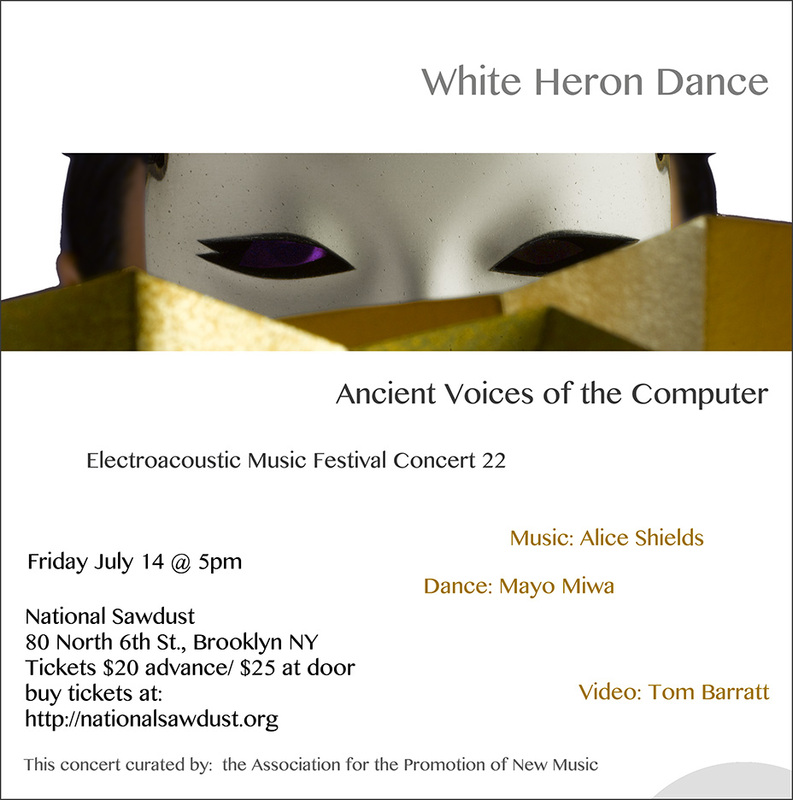 The composer's voice narrates, with bird and animal imitations by a local biologist, and sounds constructed by digital sampling and software synthesis. The choreographer in the 2003 premiere at Frostbug State University was Mark Taylor; the lighting designer was Barbara Thompson; the libretto is based on the book�Stirring the Mud�by Barbara Hurd.�You can hear an excerpt of The Mud Oratorio on YouTube. 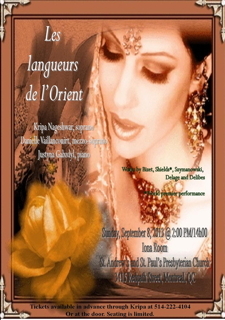 Komachi at Sekidera is being presented as part of a concert entitled "That Certain Age," a program of�short operas about aging with grace and humor,�produced by The Aviva Players, Kindred Spirits and New York Women Composers,�and will also include works by Mira Spektor, Seymor Barab, Anne Phillips, Haim Elisha and Mario Fratti. 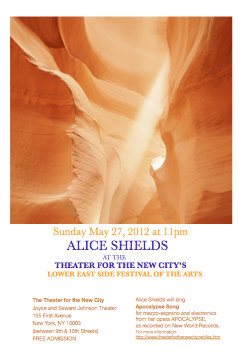 Composer Alice Shields will be�interviewed by Janet Coleman on her program Cat Radio Café. Shields will discuss the upcoming December 1 performance of her mini-opera�Komachi at Sekidera by Opera America. 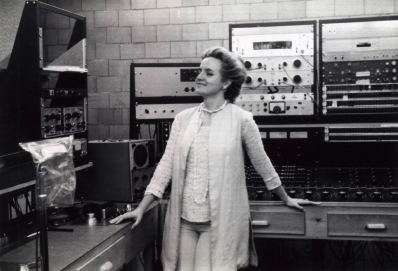 "A hugely respected composer who has focussed much of her energy on electronic composition in opera, Shields studied at the Electronic Music Centre at Columbia University and has often returned to themes of spirituality and feminism in her work. 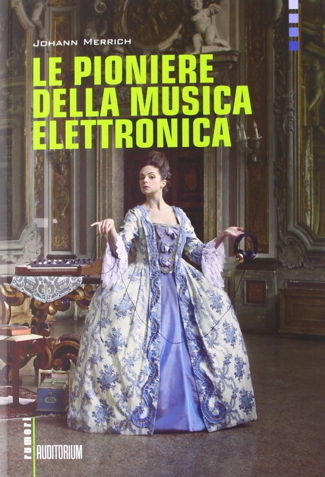 Her 1993 piece Apocalypse is among the first electronic operas ever created." North South Consonance presents their concert, "Stile Antico: In the Style of Days Gone By," including Alice Shields' Virgin Songs for soprano and piano, from her electronic ghost opera, Mass for the Dead, at Christ & Saint Stephen's Episcopal Church on 120 W. 69th St., New York, on 23 March 2014, at 3PM. 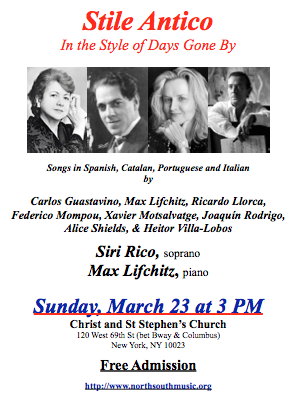 Virgin Songs is sung in Catalan, and will be performed by Siri Rico (soprano), with Max Lifchitz on the piano. 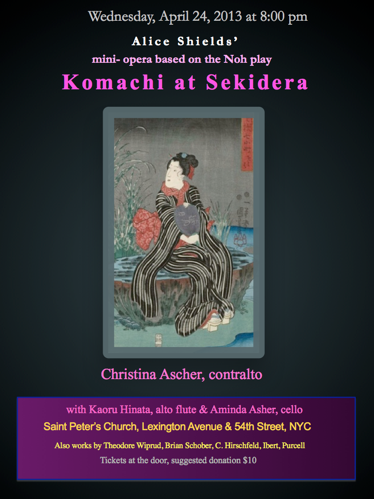 Christina Ascher performs Alice Shields' Komachi at Sekidera at Saint Peter's Church, Lexington Avenue and 54th St., on Wednesday, April 24th 2013, at 8pm. Ms. Ascher is accompanied by Kaoru Hinata on alto flute, and Aminda Asher on cello. 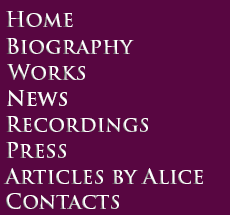 Works by Theodore Wiprud, Brian Schober, C. Hirschfeld, Ibert, and Purcell are also on the program. 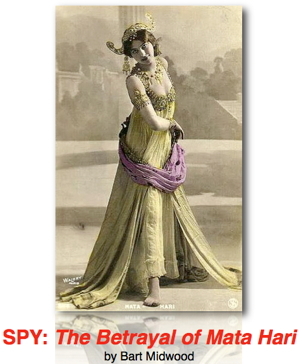 Alice Shields is assistant to director Robert Kalfin (Amadeus, Yentl, Candide, Happy End) for a staged performance reading of Bart Midwood's, SPY: The Betrayal of Mata Hari, at the Dramatists Guild on December 5 at 7pm. Produced by Mitzi Pazer and sponsored by The Playwrights' Theater of East Hampton. The Dramatists Guild, 1501 Broadway (between 43rd and 44th Street), Frederick Loewe Room, 7th Floor, New York, NY. Admission Free. 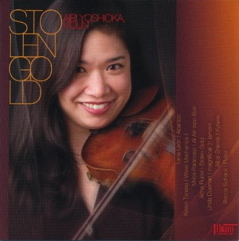 Alice Shields's Kyrielle, for violin and computer music, is one of seven works featured on the new Airi Yoshioka recording, "Stolen Gold," on Albany Records (TROY 1305). 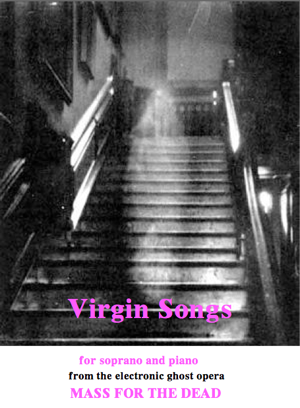 Click here for more information from Albany Records, and buy the CD from Amazon.com.